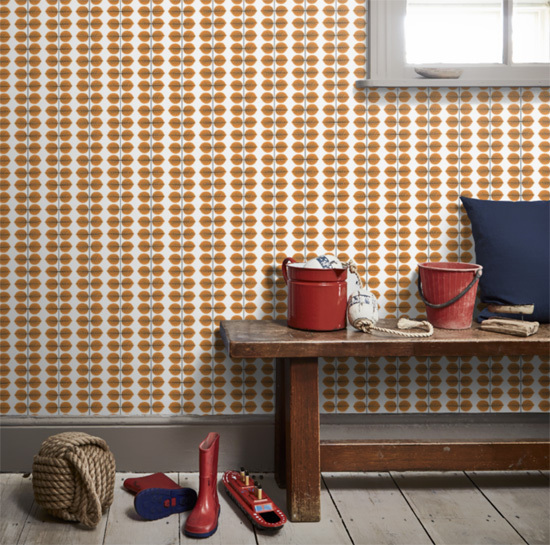 We love the 1950s flavour to this collection of Fjord furnishing fabrics by Iliv. We showed you some authentically 1950s-designed textiles earlier in the week, thanks to the re-released designs of Robert Stewart, but for a 21st-century take on the look, it's worth checking out the Accent furnishing fabrics collection by Prestigious. Bianca Gomez's wonderful illustrations have been put to good use in the London Cosas Minimas wallpaper by Paper Moon.